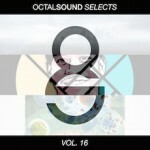 We have a very special group of selects for you for Vol. 16! It’s an all Octal Sound family affair this time with genres spanning the map all tied together with a bit of future bass flavor. First up is Crywolf’s single off his mysterious new project Dysphoria called ‘Neverland’. This tune is everything you’d expect from the ginger Icelandic traveler and more. Complete with creepy kid chanting and even a bit of trap influence, we can’t wait to show you what this means for the rest of the project. Up next is a new comer to the Octal family Bronze Whale. ‘Van Gough ft. Jon Von Letscher’ is their drum and bass inspired single for their forthcoming War Of Art EP that has been on repeat for the last month in the office. Rounding out this version of Selects is The BUST god himself doing his thing on Post Malone’s breakout hit ‘White Iverson’, swishhh! Download them all for free right here and stay tuned for more.